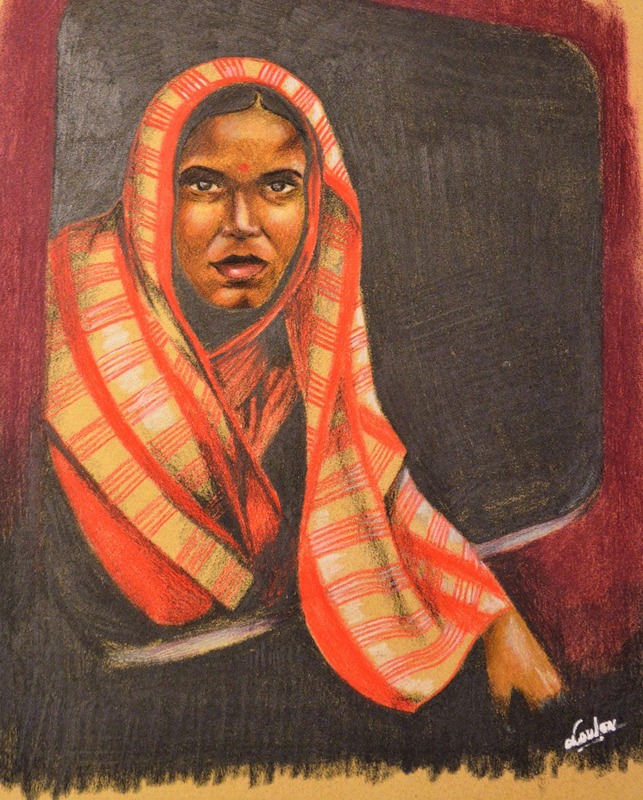 Original drawing done in pencils depicting a young Indian woman in a train. Size A4 (21cm x 29.7 cm). 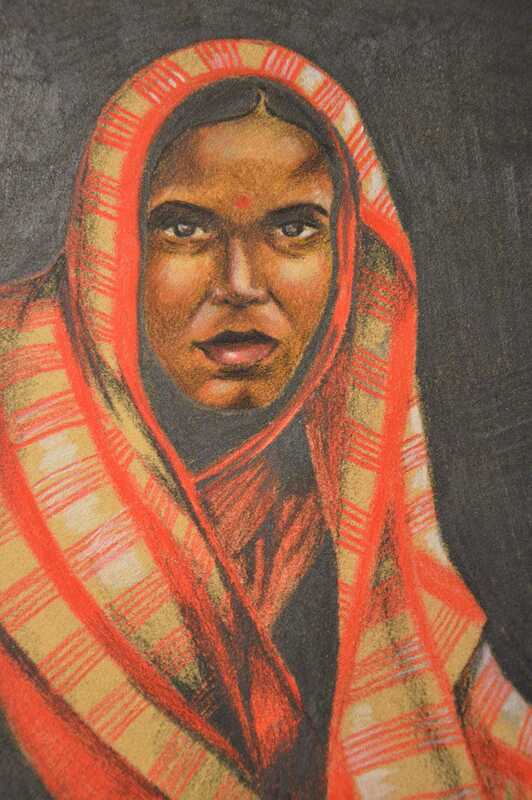 The portrait is shipped well protected by registered mail.